Did Ferris Bueller’s dad earn the Silver Beaver award? It’s the question on everyone’s mind since the film “Ferris Bueller’s Day Off” debuted in 1986: Did Ferris Bueller’s dad earn the Silver Beaver award? The talented team tasked with creating the new Animation merit badge includes experts in the fields of animation and digital media. Meet three of them here. Scoutbook creator Shawn Jackson says having his game-changing web app acquired by the BSA is the best thing that could’ve happened to it. Tuesday Talkback: How do you keep siblings entertained at Scout meetings? Virginia Scouter Rob H. doesn’t want the younger siblings of Scouts or Venturers sitting around feeling bored for an hour or two. What do you think? The 2015 Silver Buffalo class consists of 13 Scouting volunteers who have given tireless service and dedication to Scouting on a national level. Shane Uribe, Frank Nash and Trevor Case received the three top NESA scholarships for 2015. These are their stories. 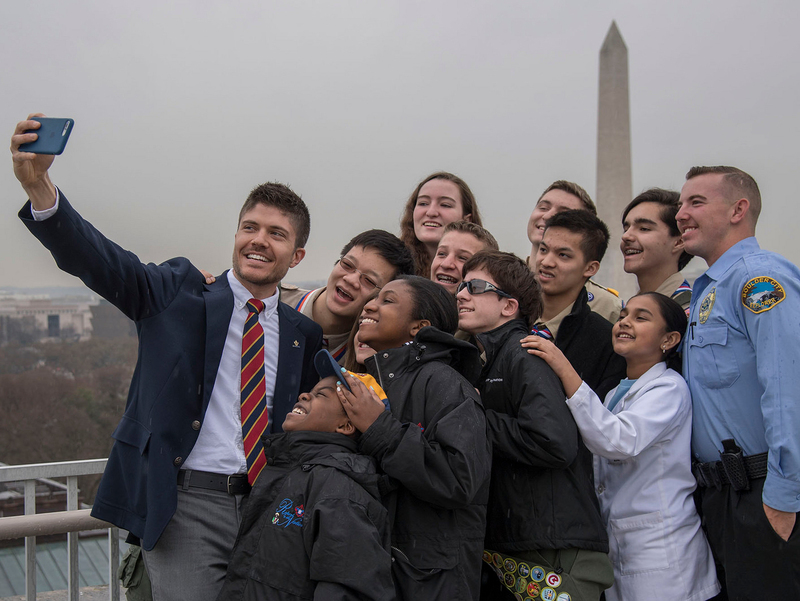 National President Dr. Robert M. Gates encouraged the Scouting family to reflect in the days and months ahead on the challenges facing the BSA.